Advantages: Gas mowers are not attached to a cord and can deliver all the power you need to cut through tough patches of grass, weeds, leaves and debris. Different power ranges as defined by “horsepower” can be chosen based on how big of yard you own. Gas lawn mowers are fully adjustable in cutting height, can both mulch and bag grass, and are generally quite reliable. Self propelled models use the engine to turn the wheels, pulling the mower over hills and inclines with ease. Disadvantages: While learning how to maintain a gasoline lawn mower is relatively easy, the maintenance needs of these mowers are a turnoff for many. Components on the engine must be maintained and replaced, which include: Changing the air filter, changing the fuel filter, replacing spark plugs and changing out the oil. After every spring season, all the gasoline must be drained from the fuel tank, otherwise it will become stale by next spring. These engines are quite loud, emit CO2, and the exhaust can be agitating to sensitive people. Smog and sound ordinances prevent mowers of this type from being used in some areas. Long term costs of fuel should be factored into the total cost of ownership. Despite these flaws, many people swear that this is the best lawn mower around. Advantages: Electric lawn mowers use an electric motor instead of a gas engine. This results in much quieter operation in addition to very little maintenance. The only maintenance these mowers needs is the occasional blade sharpening and the cleaning of grass debris on the underside. They are powered by an extension cord which plugs into an exterior wall outlet. Without the heavy weight of an engine block, an electric lawn mower is easy to maneuver and turn. As with gas mowers, they can mulch/bag grass, be adjusted in height and rarely break down. Buying an industrial extension cord with the mower is a great idea. Disadvantages: The most obvious flaw with the electric mower design is its reliance on an extension cord. Due to this, range is limited to about 100 feet. Also, users must negotiate around the cord to make sure it does not get run over. Another potential issue is that electric motors are less powerful overall when compared to a gasoline engine. So, these mowers are best used on small to medium sized yards. Advantages: Cordless models are quiet and low-maintenance and are not restricted to the length of a cord. You get the portability of a gasoline lawn mower with the smooth operation of an electric one. After each use, the mower’s onboard battery is charged at any wall outlet. Disadvantages: The built-in battery pack adds quite a bit of weight to the mower, making it a weight comparable to a gas mower. Mowing sessions must be planned ahead, as the battery packs can take around 12 to 14 hours to fully charge. You can get about 60-75 minutes of use out of a single charge. As with corded mowers, battery powered units are less powerful and are intended for modest to medium sized yards. Be prepared to invest in a new battery pack every couple years. Advantages: Also called “push mowers” or “manual mowers”, the reel mower is human powered and has no onboard motor. Very quiet and low-maintenance, push reels have a set of helical metal blades which turn as the unit is pushed along. Push reel mowers are pleasant to use and offer a mild workout. Most units cut grass into mulch, but some have grass capture bags which attach to the rear. Varying cutting widths and adjustable height make the push reel quite versatile. They are the greenest of all the mowers. Disadvantages: With less power overall, the push lawn mower is not as fast at cutting grass and should be reserved for small, manageable yards. The lawn should be cut regularly to prevent weeds and tall grass from forming, as push reels have difficulty cutting thick brush. Advantages: Robotic lawn mowers combine the best of robotics and lawn mowing to form a high tech yard tool. Initial setup involves setting out perimeter wire to contain the ‘bot to the yard. At a scheduled time, the robot will leave its charging “house” and make its way across the yard, returning to the base when done. 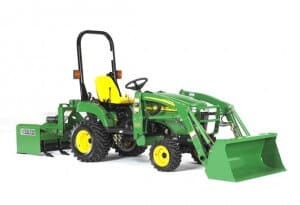 Many advanced features are available, including multi-zone mowing, Bluetooth capability, rain sensing, adaptive programming and even audible theft alarms. Run times vary from around 1.5 to 5 hours. Claims are made that these robots are safer than walk behind lawn mowers because users stay far from the blades. Disadvantages: Again, when compared to a gasoline engine, these electric models are weaker. Users must program the robot for frequent mowing in order to keep the yard to a manageable size. 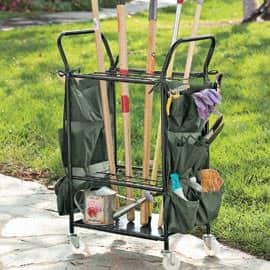 Most robots can only mulch being that they have no onboard bag. 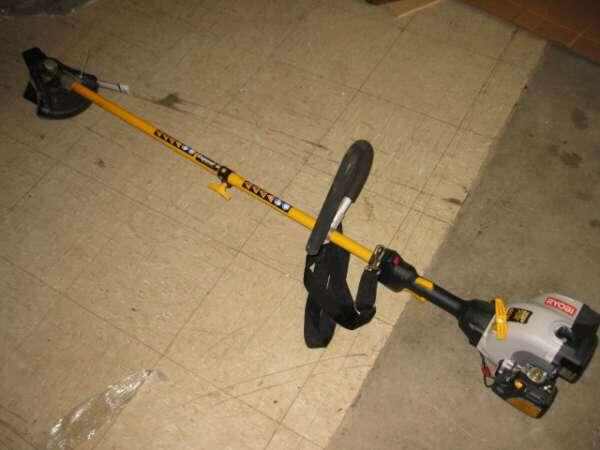 People may be inclined to steal such a high tech mower even with a theft alarm engaged. Setting up the cutting path may be difficult for those who are not technically inclined. In addition, leaving a bladed robot to go about its business alone can be uncomfortable for some. Mulch – Mulching is the process of cutting grass and allowing it to fall back onto the lawn. This can be done during any time of the year. The dead grass adds growth-promoting nitrogen to the soil. Some of the best lawn mowers can both mulch and bag grass. Bagging – Lawn mowers with bags capture most of the grass they cut for disposal or for use in creating compost. Many people pour their grass clippings into composters for use in the garden. Deck – The deck is the main base of the lawn mower, made of a solid steel piece (gas) or plastic (electric). Decks support all of the components of a mower, including the engine, wheels, and control handle. Wider decks can support bigger cutting blades. Self Propelled – Expensive self-propelled lawn mowers have a gear system which is hooked in with the motor. The wheels turn by themselves with speed that can be controlled. Large yards with steep inclines can be negotiated with ease using a self propelled model. Horsepower – Push mowers have a horsepower range of around 3 to 10. Large riding mowers are equipped with 12 to 18 horsepower. Basically, the higher this rating, the faster the blades can turn, which reduces mowing time. Heavy brush is best cut with a high horsepower mower. Pingback: What are the Best Lawnmower Features?